The GIANT APRIL SALE is now in progress at the Largest Volume Honda Dealer In Illinois* … All new and pre-driven vehicles will be priced with MAXIMUM DISCOUNTS for IMMEDIATE DELIVERY!!! … Call (630) 851-5700 for details. I would highly recommend to visit this dealership if you want to buy a car! Sohum Buch was very humble, warm, polite, helpful, friendly, and have great knowledge of the cars and policies and answered our questions precisely. Great experience at this dealership! Awesome Cars with Great hospitality! Same goes with Mohit Saini! We went in to look at cars when my 13 year old Honda Civic was getting a repair and we left with a brand new Insight! We worked with Mark Fitzpatrick. Customer service here is always good whether it's working with the salespeople or the service department. Welcome to Valley Honda in Naperville/Aurora, IL! We are a Honda dealership committed to serving Naperville, Aurora, Oswego, Bolingbrook, Montgomery, Yorkville, Joliet, St.​ Charles, Orland Park,​ and the surrounding areas. We are the largest volume Honda Dealer in IL, as reported by American Honda Motors 2018 new car​ volume sales. Despite our size,​ customer service and satisfaction is still​ our number one priority here at Valley Honda, and we hope that we can serve you in whatever way you need. At Valley Honda, we offer new and used Honda cars, trucks and SUVs at competitive prices. 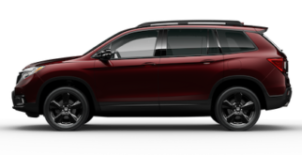 As the largest volume Honda dealer in Illinois as reported by American Honda Motors 2018 new car volume sales, we have a vast variety of vehicles for you to choose from. If you don’t see the vehicle you’re looking for here on our website, let us know–we’d be more than happy to try to locate it for you. Our new Honda vehicles like the Honda Accord, Honda Civic and Honda CR-V are of the highest quality, as are our used vehicles of a variety of makes and models–including our Honda Certified inventory. The Valley Honda Parts and Service Departments are committed to complete customer satisfaction. Our expert technicians are ready to take care of your vehicle needs from start to finish. We offer regular coupons, specials and incentives on both parts and service. Please review our website and come back regularly for updates. 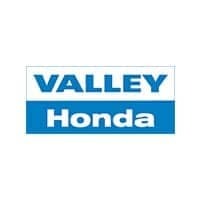 We believe that purchasing or leasing a vehicle can be fun and enjoyable!​ Review some of our testimonials or take a look at one of the​ many happy customers​ on our Facebook page​ to see​ what customer service at Valley Honda is all about. Do you have questions? Feel free to drop by 4173 Ogden Avenue in Aurora, IL 60504 or call us at (630) 851-5700 to find out more. We’d love to hear from you and welcome your input and feedback. Valley Honda is here to serve you, so let us know if there’s anything we can do for you!